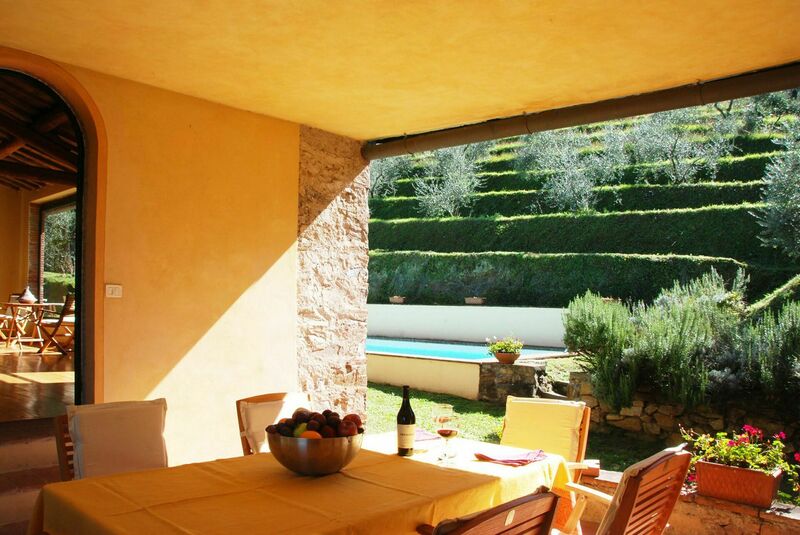 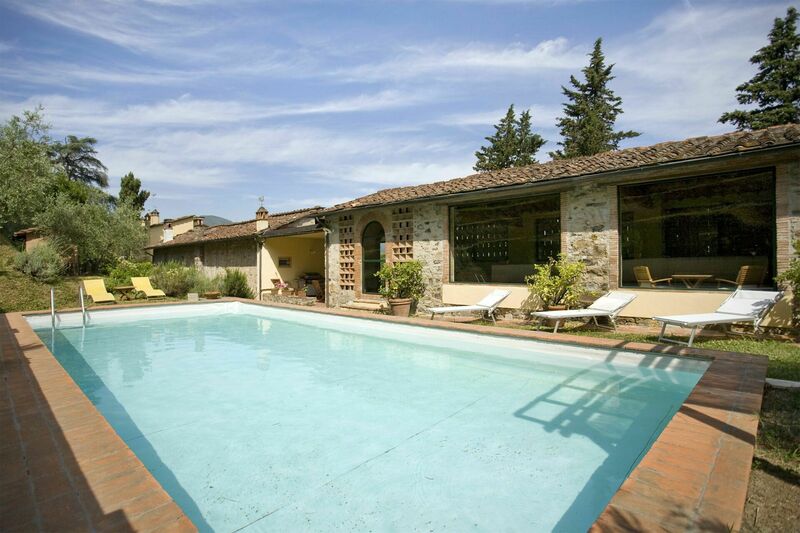 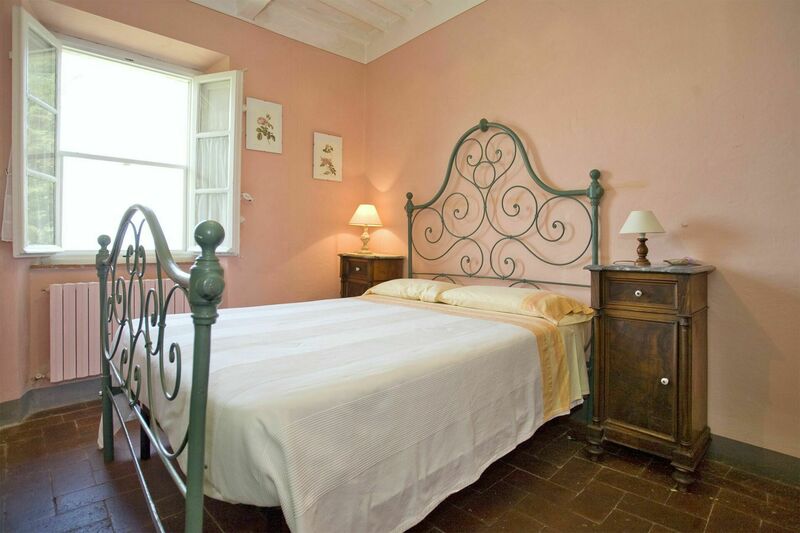 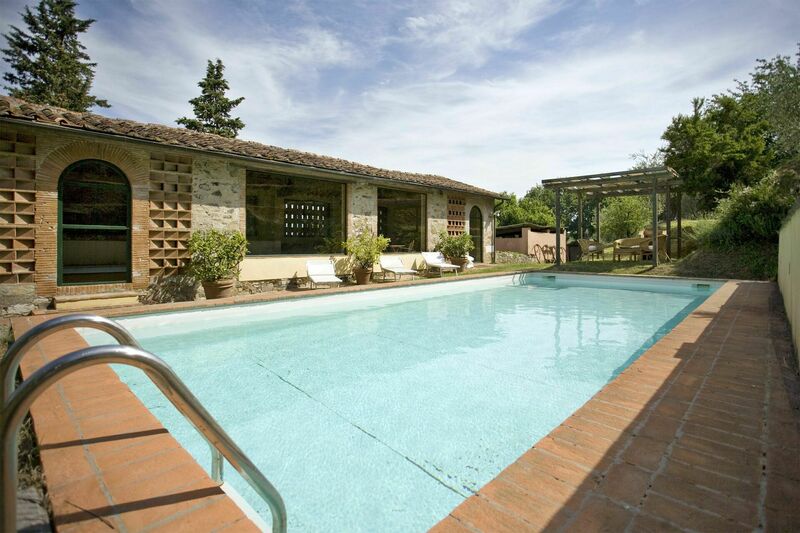 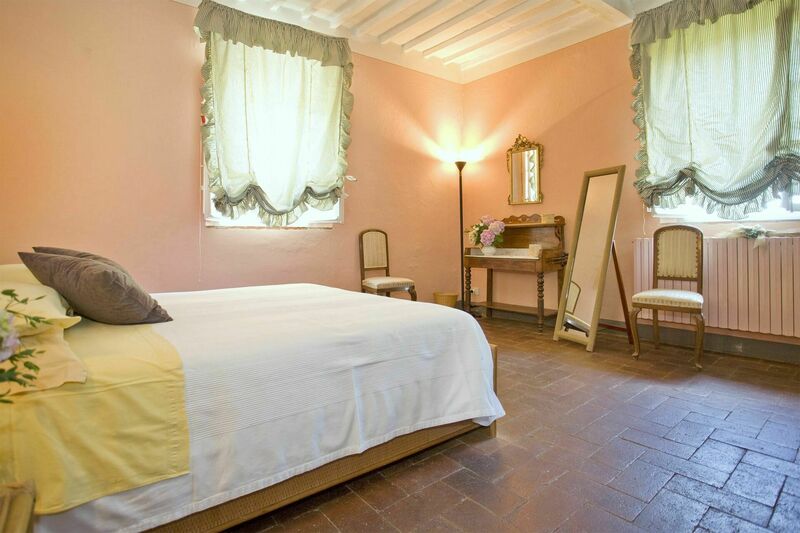 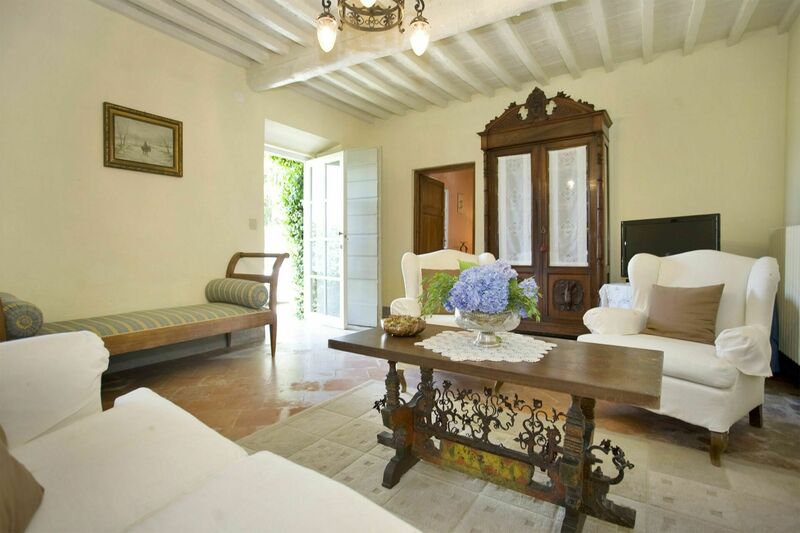 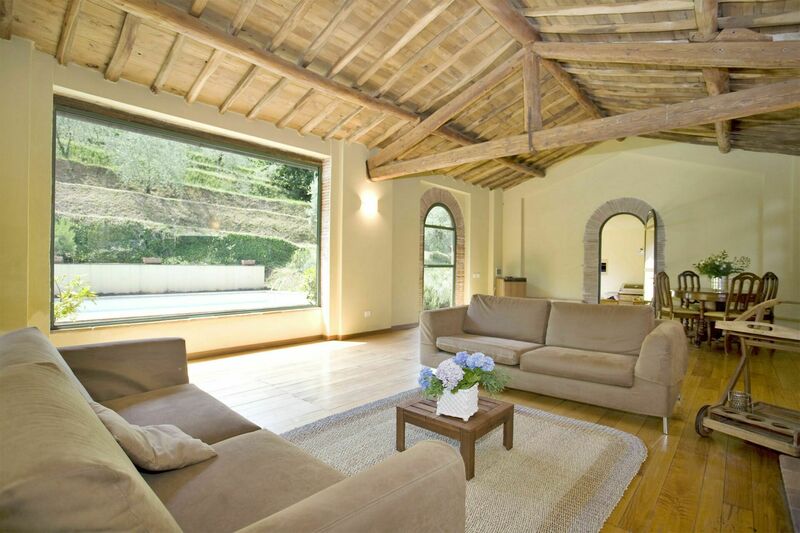 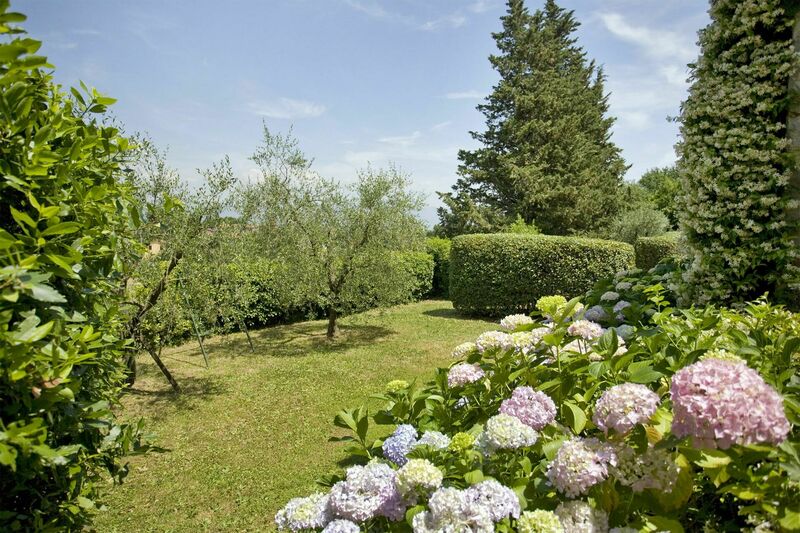 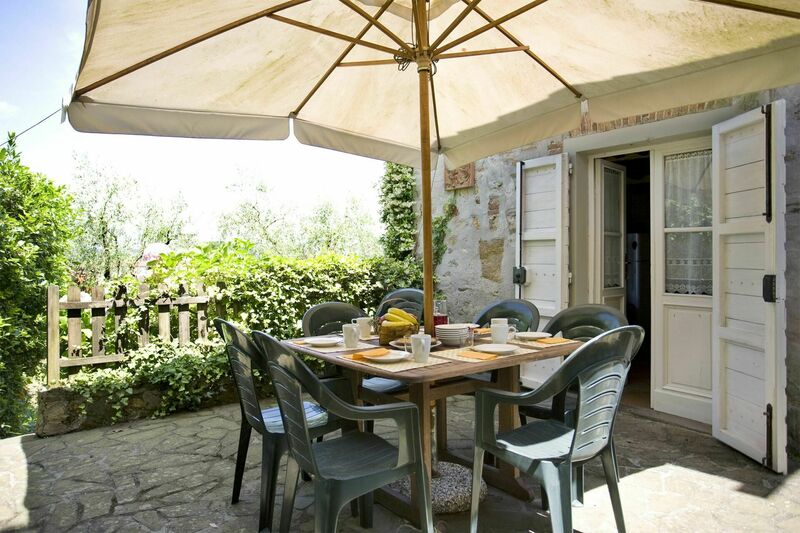 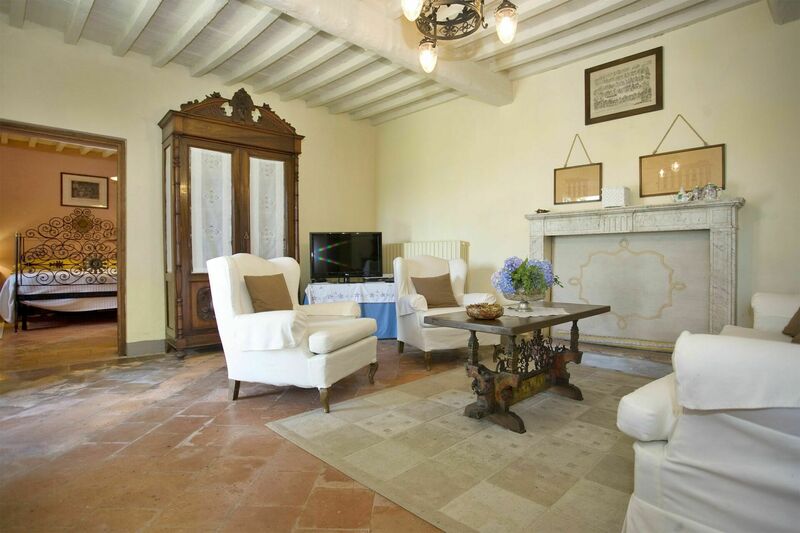 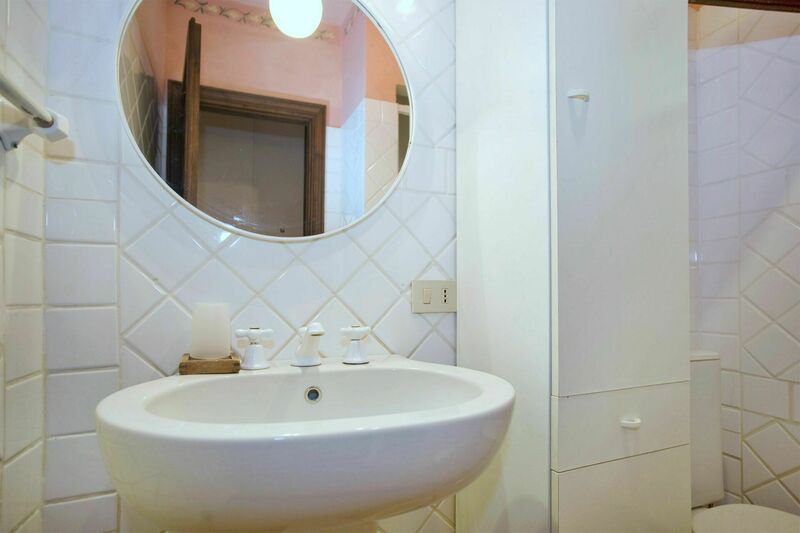 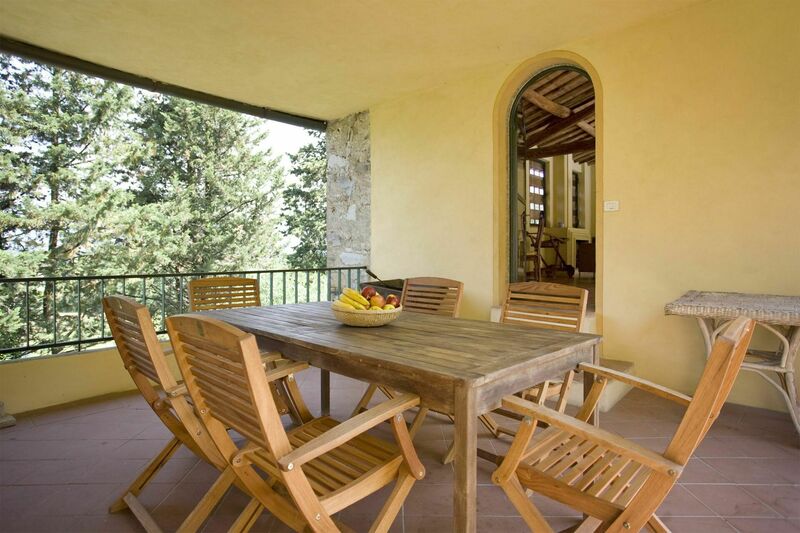 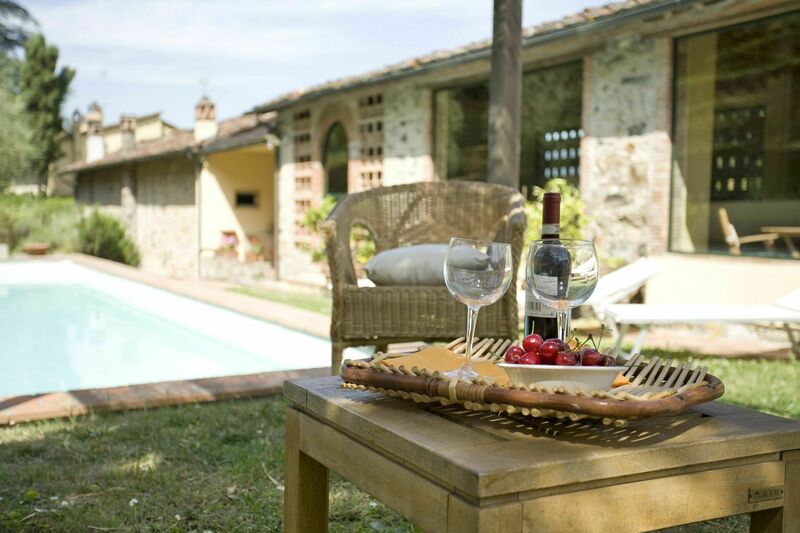 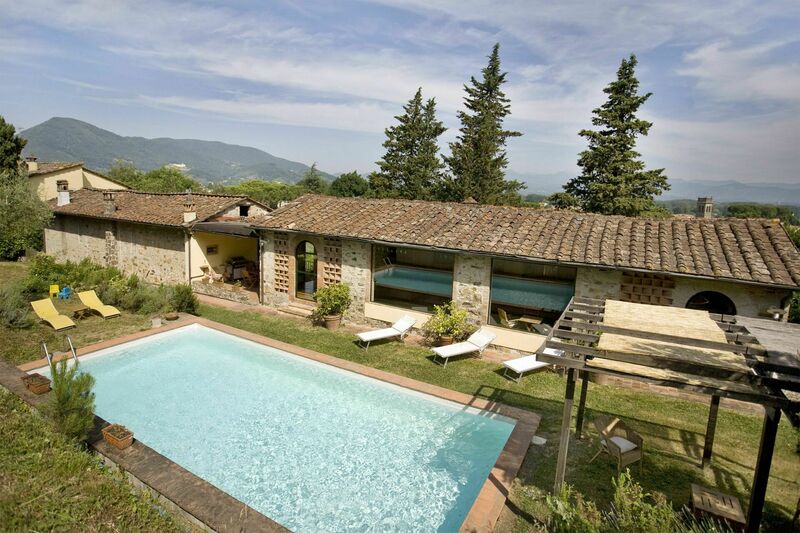 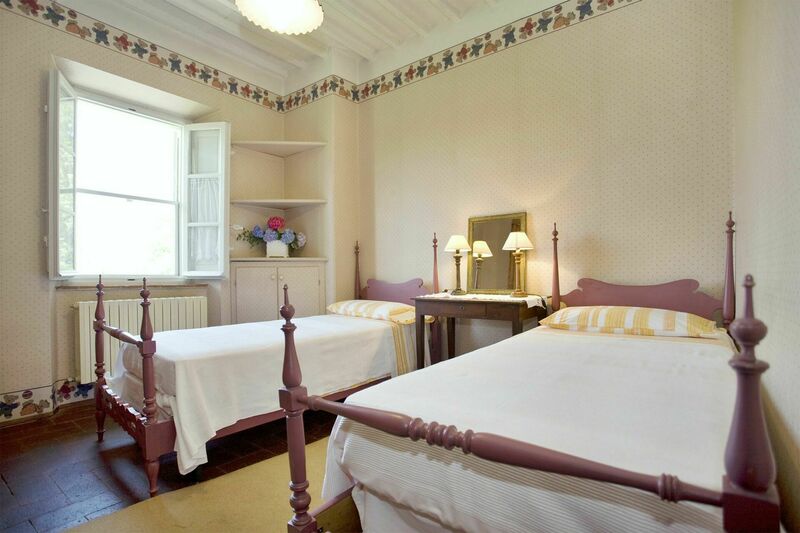 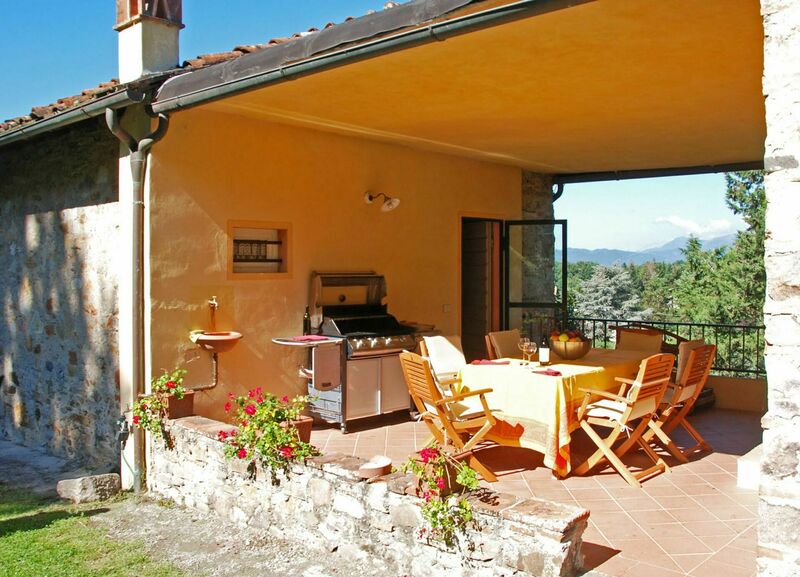 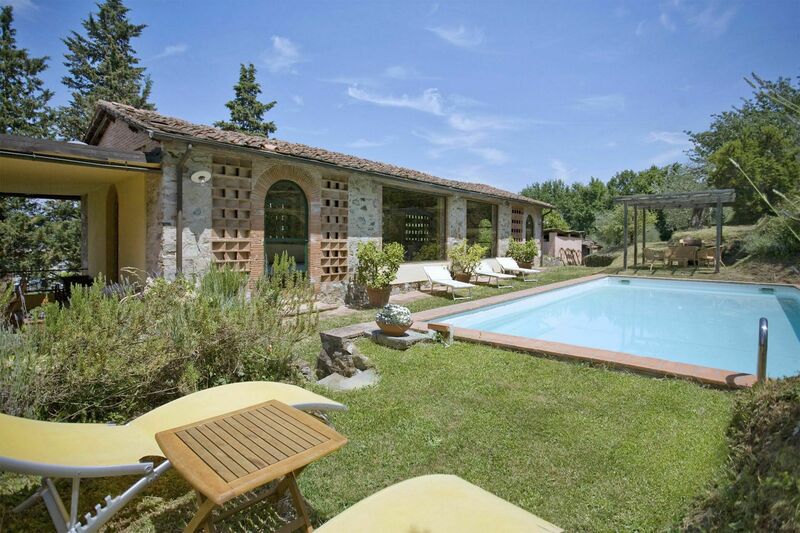 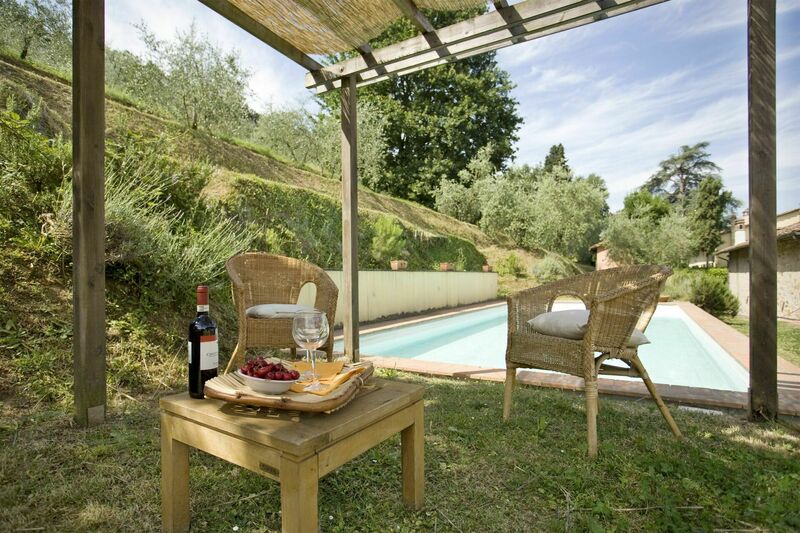 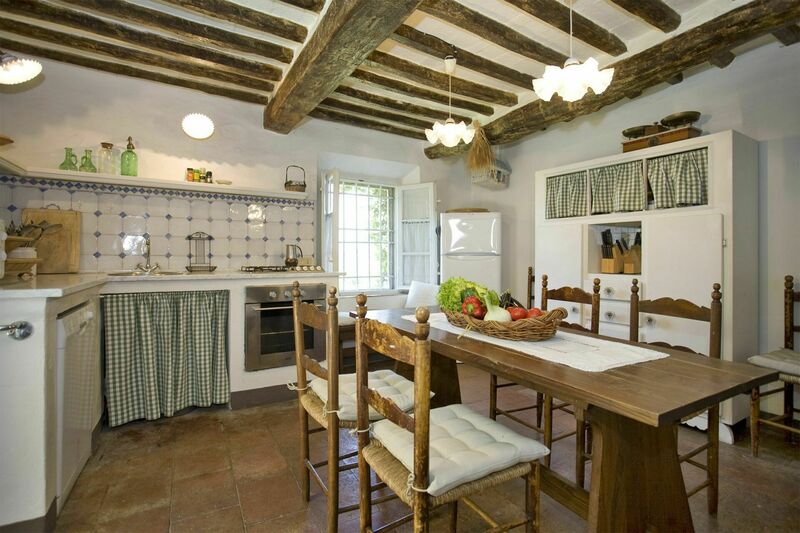 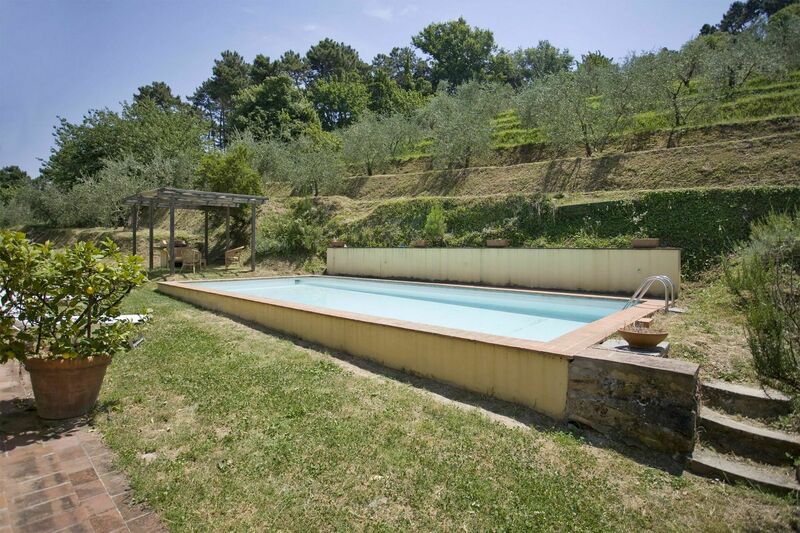 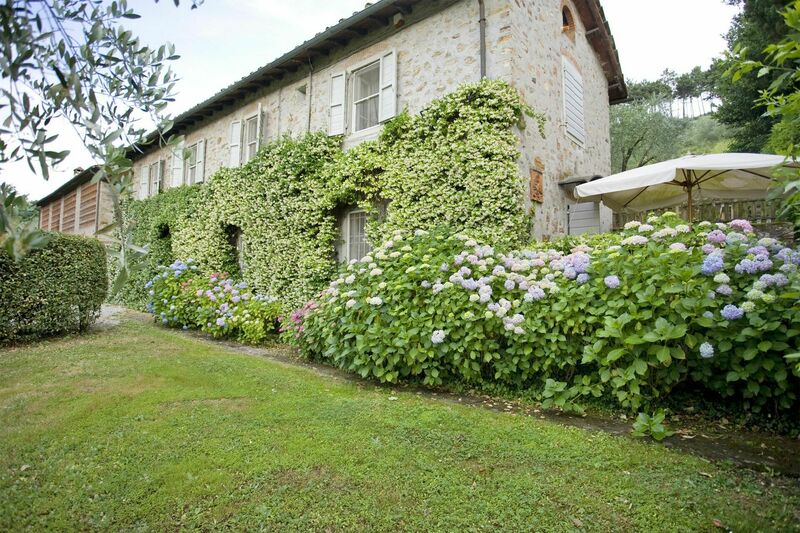 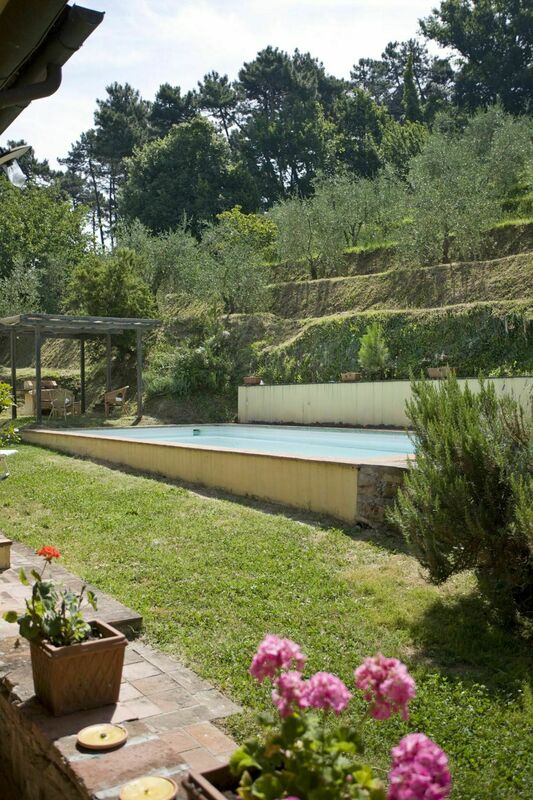 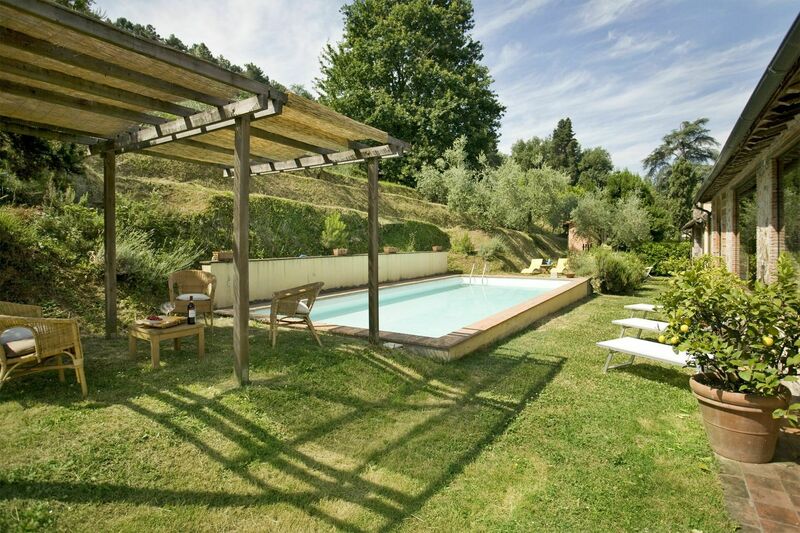 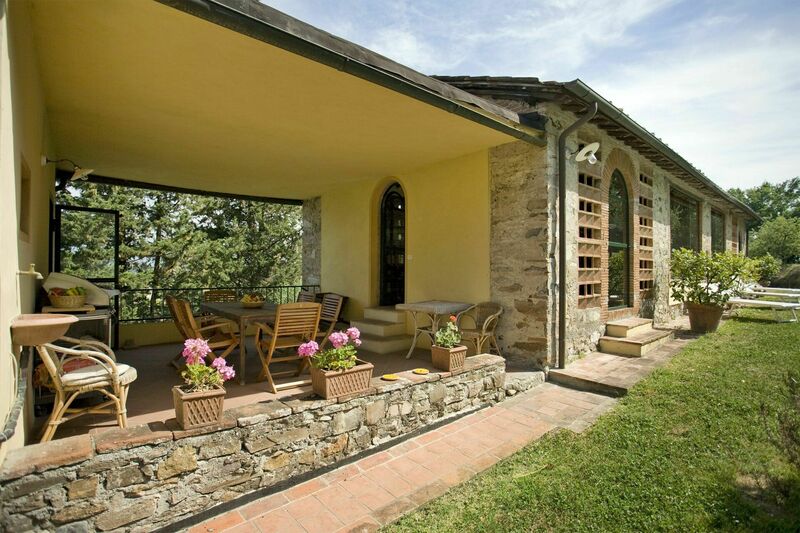 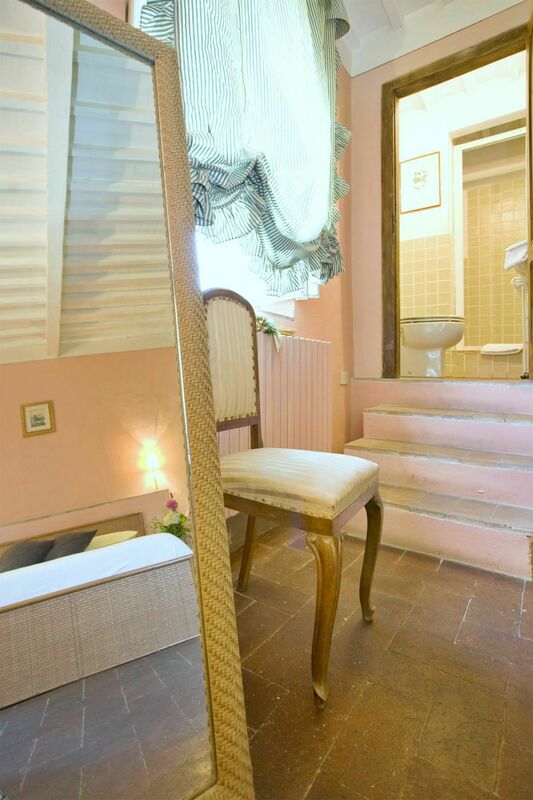 I Gelsomini is a lovely farmhouse, situated only 5 km from Lucca. 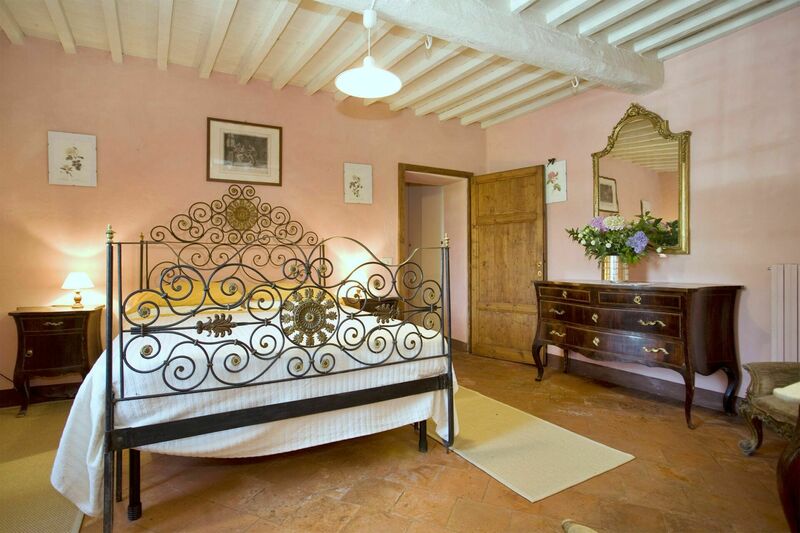 The house has been restored by the owners, Italian architects, who used it until recently as their home. 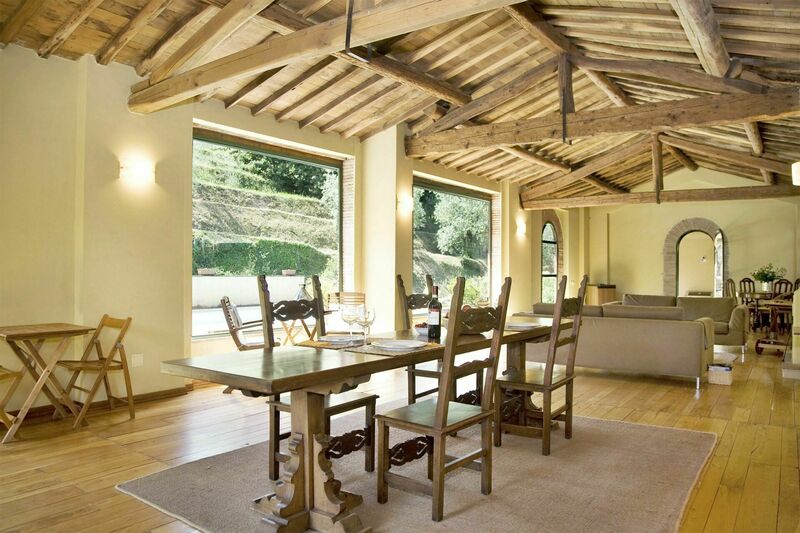 They successfully preserved the character of the old farmhouse, with its antique cotto floors and beamed ceilings. 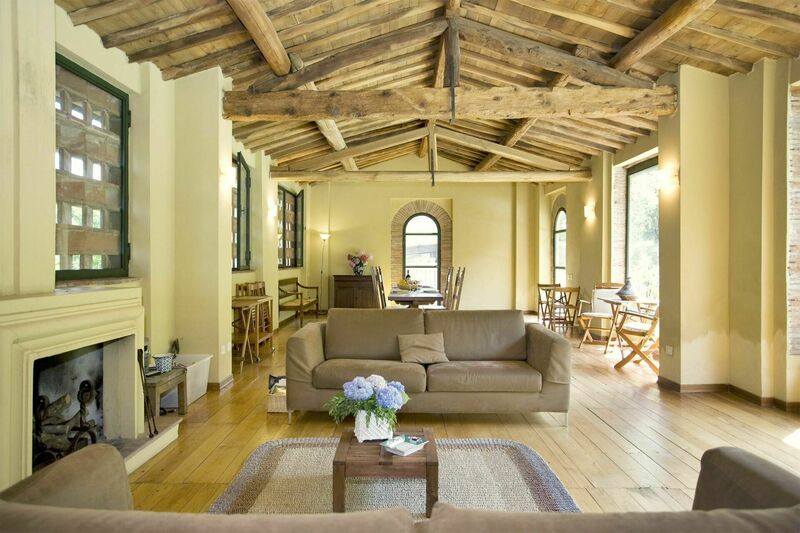 A covered patio connects the main house to the huge sitting room (100 sq. 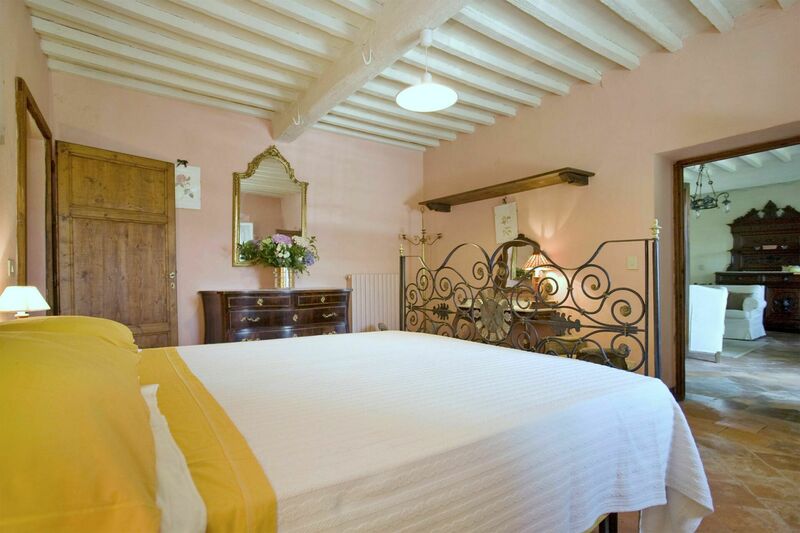 metres) that has been made out of the original hayloft, whose structure has been maintained yet modernized with parquet floor, fireplace and large windows overlooking the pool. 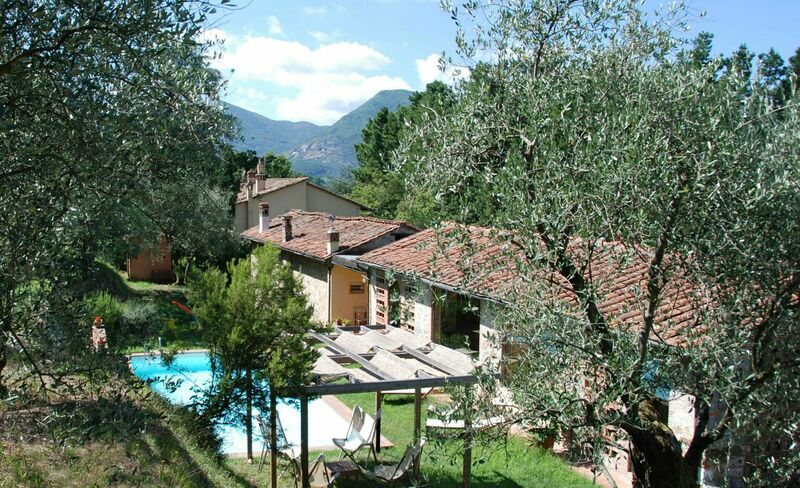 It is also at less than 4 km from the motorway exit and is perfect to explore Tuscany: Florence is less than 50 minutes away; Pisa and the beaches less than 20 minutes; the center of Lucca less than 5 minutes. 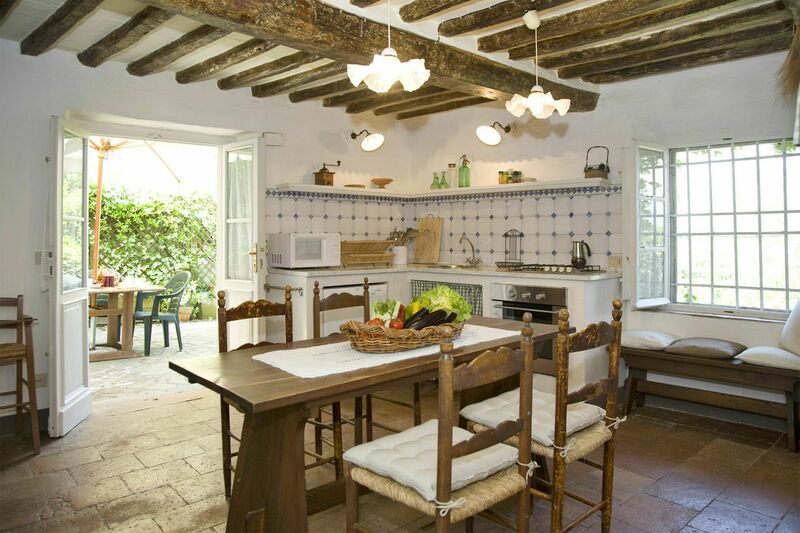 Lucca is one of the most fascinating cities of Tuscany and I Gelsomini is a typical example of local architecture. 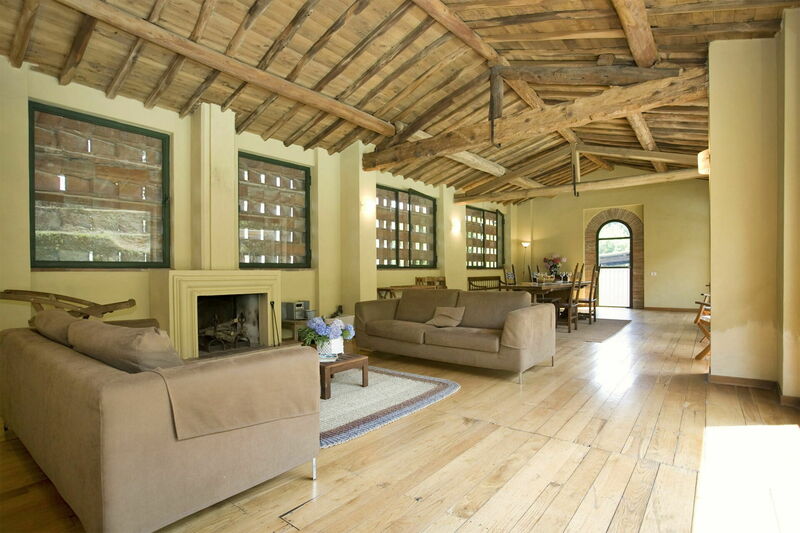 On first floor there is a air-conditioning unit to refresh the whole floor. 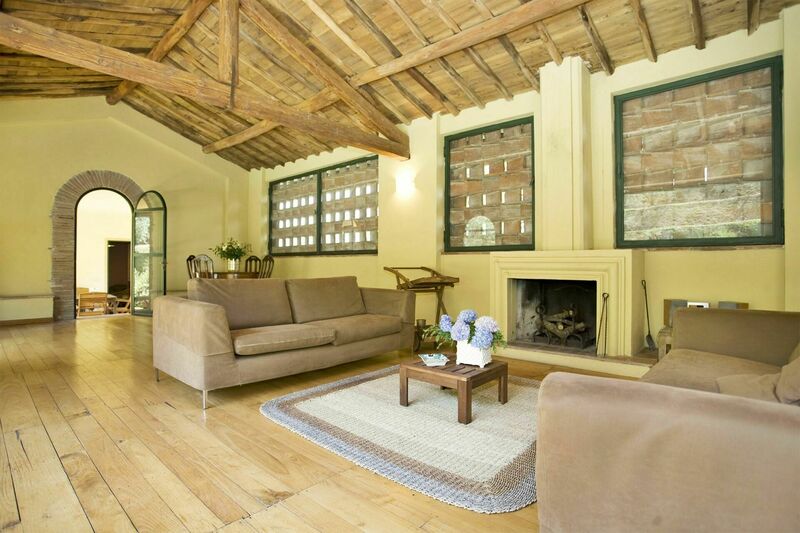 Sitting room with fireplace, kitchen/dining room with fireplace opening onto a terrace ideal for outddor meals, double bedroom with en-suite bathroom (shower). 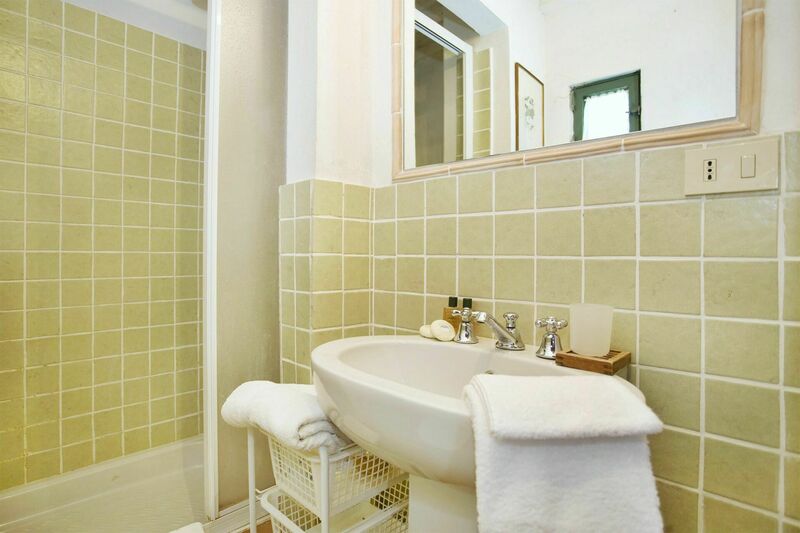 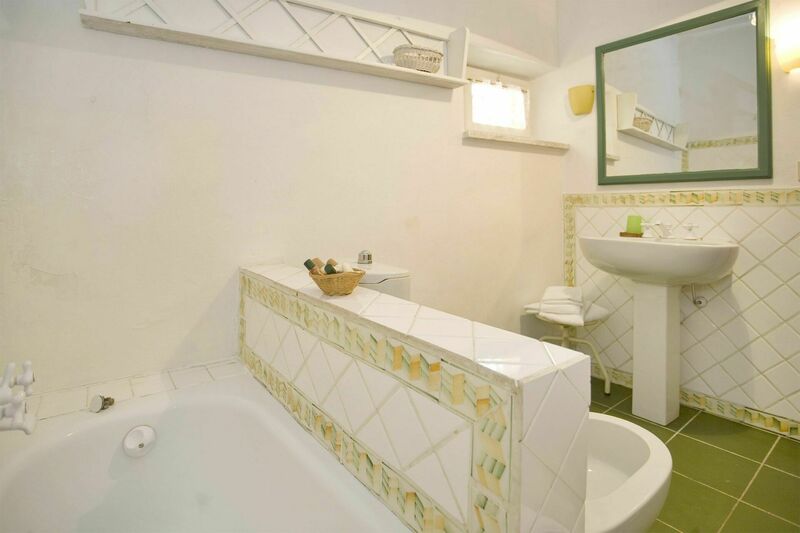 Double bedroom with ensuite bathroom (shower), bedroom with french bed, twin bedroom, bathroom (bathtub with shower), study room opening onto a covered loggia with gas bbq, large sitting room opening onto back garden and loggia.